Curved stairway. 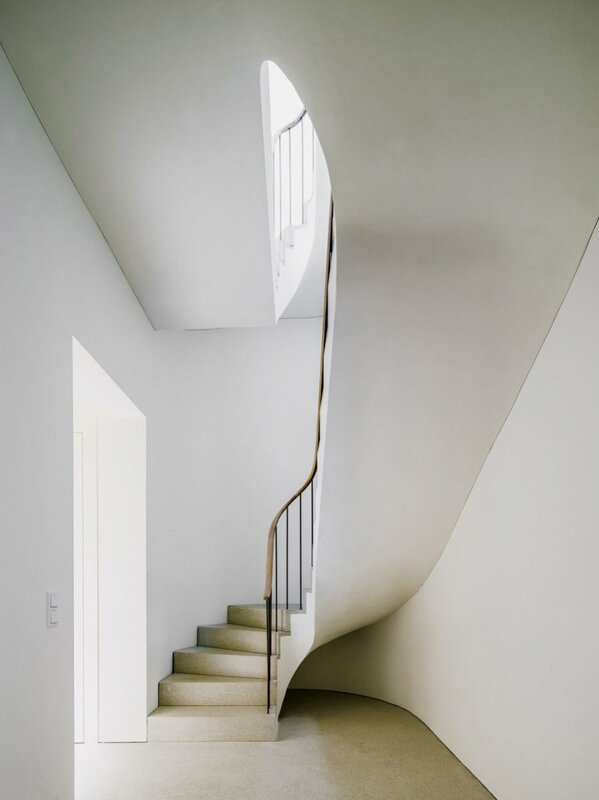 Project &apos;Bogenhausen House&apos; in Munich designed by David Chipperfield Architects. Photography by Simon Menges.